The Sony Xperia T is the company's late 2012 flagship Android device. The device features a powerful 1.5 GHz dual-core Snapdragon S4 processor backed by 1 GB of RAM, 16 GB of storage, and a whopping 13 MP camera. The 4.55" LCD is also noteworthy, featuring a high 720p resolution and the proprietary BRAVIA engine. 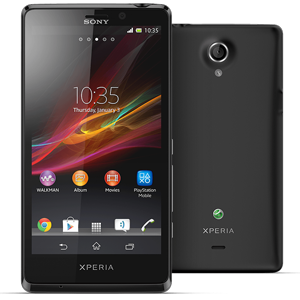 Perhaps most interestingly, the Xperia T follows in the footsteps of the Samsung Galaxy Nexus by offering on-screen Android navigation keys.